When you loose the associating between M-file and MATLAB Editor, it’s easy to associate m-file to MATLAB in Windows. But if you do this, every time you double click a m-file will open a new MATLAB process. It’s a little annoying, right? So this is the way to associate M-file to MATLAB Editor but not MATLAB itself. 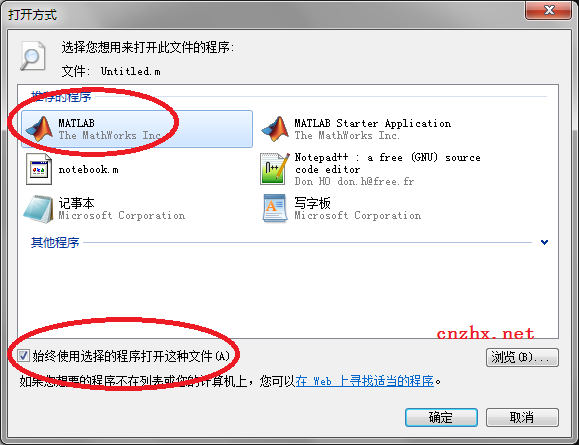 If you choose MATLAB Starter Application in the next, every time you double click a m-file will open a new MATLAB process. This magic command group is mentioned here. In the popup windows, click File Types, locate and choose the file type of M-file below the Registered File Types area, then click Restore below it. If this doesn’t work, please continue reading the following section. 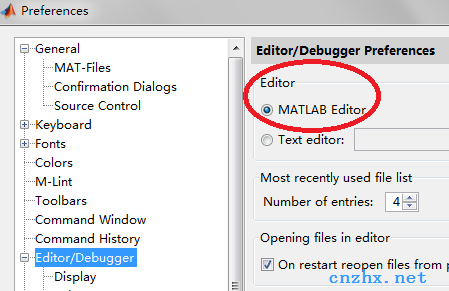 If you had changed the Editor/Debugger Preferences in MATLAB Preferrences page ( at File – Preferences – Editor/debugger ), maybe you should change it back to make your new setting take effect.